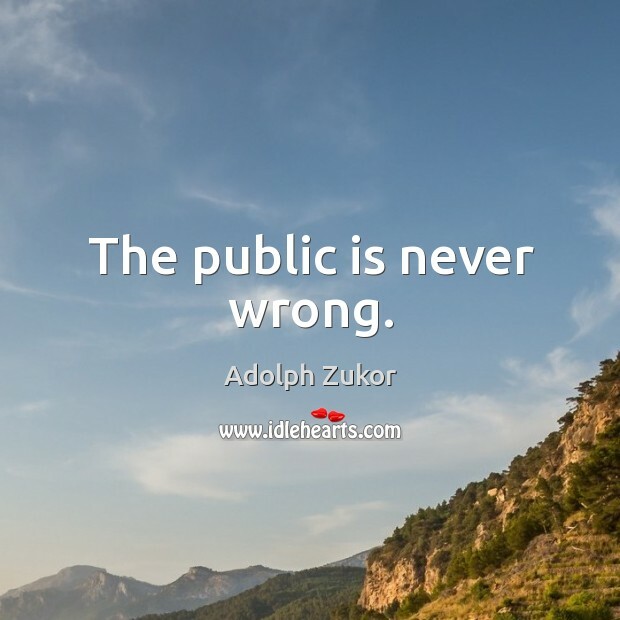 Enjoy the best inspirational, motivational, positive, funny and famous quotes by Adolph Zukor. Use words and picture quotations to push forward and inspire you keep going in life! 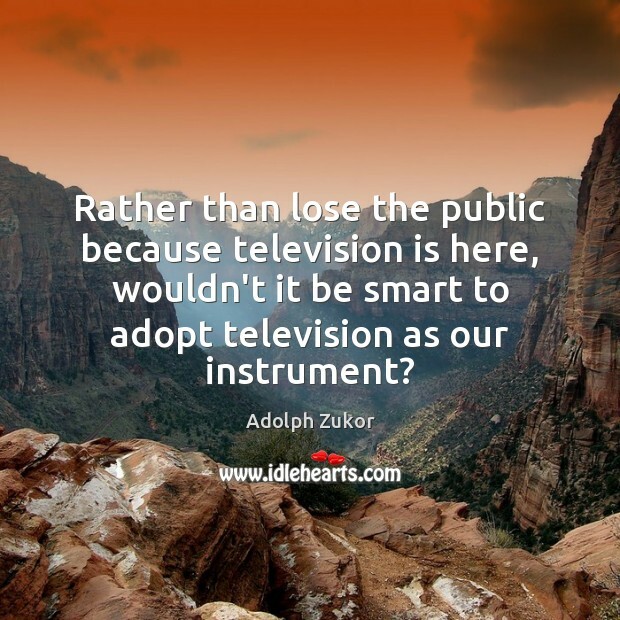 Rather than lose the public because television is here, wouldn't it be smart to adopt television as our instrument? 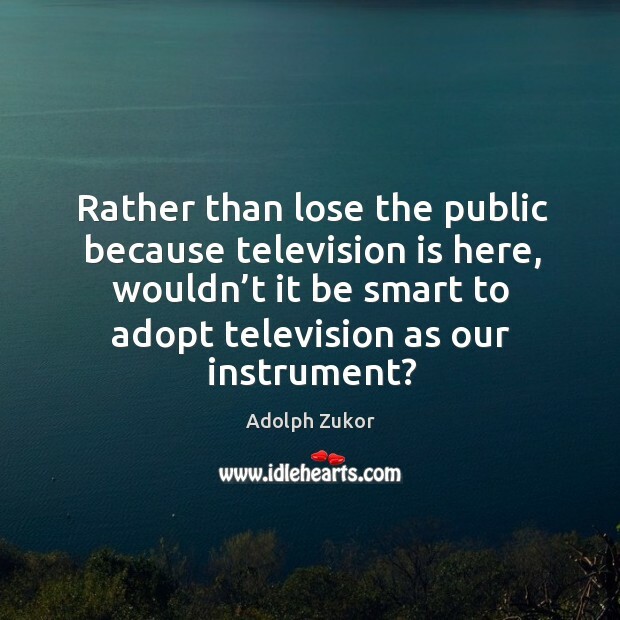 Rather than lose the public because television is here, wouldn’t it be smart to adopt television as our instrument? The public is never wrong.